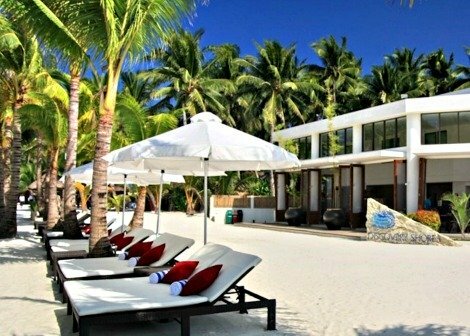 Five star resort hotel in Boracay receives another prestigious recognition from TripAdvisor for 2018. Aside from making it to the esteemed list of winners in TripAdvisor’s 2018 Travelers’ Choice Awards, Discovery Shores, an award-winning five star resort hotel in Boracay, also receives the prestigious 2018 TripAdvisor® Certificate of Excellence. Now in its eighth year, the achievement celebrates businesses that have earned great traveler reviews on TripAdvisor over the past year. Certificate of Excellence recipients include attractions, restaurants and accommodations located all over the world that have continually delivered a quality customer experience. “We are deeply honored to receive this prestigious recognition from TripAdvisor. This award certainly confirms our strong commitment to provide excellent guest experience which is grounded in our mantra, 'Service That’s All Heart'. Our sincere gratitude goes out to all our guests for their unwavering support and for recognizing our efforts.” - Erwin Lopez, Hotel Manager, Discovery Shores Boracay. “TripAdvisor is excited to announce the recipients of the 2018 Certificate of Excellence, which celebrates experiences and other travel businesses that have consistently received strong praise and ratings on the world’s largest travel site,” said Heather Leisman, Vice President of Industry Marketing, TripAdvisor. The Certificate of Excellence accounts for the quality, quantity and recency of reviews submitted by travelers on TripAdvisor over a 12-month period. To qualify, a business must maintain an overall TripAdvisor bubble rating of at least four out of five, have a minimum number of reviews and must have been listed on TripAdvisor for at least 12 months. Check out recent reviews at http://www.discoveryshoresboracay.com/tripadvisor-reviews. Discovery Shores Boracay is an award-winning 88-suite luxury resort in Station 1 of White Beach. The beachfront property features the highly-acclaimed Terra Wellness Spa and well-loved restaurants Sands and Indigo. The resort is has been listed in Travel + Leisure Magazine’s World’s Best Hotels and is a regular awardee on TripAdvisor. Discovery Shores Boracay is one of five properties of The Discovery Leisure Company’s portfolio of distinctive hotels and resorts, and is a member of Preferred Hotels and Resorts Lifestyle Collection. Get updates through Discovery Shores Boracay’s official website at http://www.discoveryshoresboracay.com.